Enjoy a more exotic dining experience? 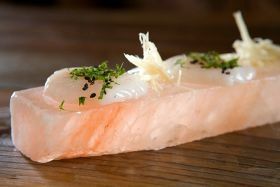 Try our pure Himalayan salt Sushi presenter. The smooth texture and clean lines create a true culinary wonder. Eating sushi with never be the same with the salt plate. 2" x 8" x 1" HIMALAYAN SALT BLOCK-SUSHI PRESENTER Need a beautiful presentation piece? The pink color draws the eye and creates a true work of art. 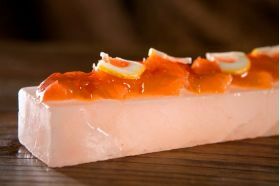 Whether presenting exotic Japanese food or simpler fare, these salt blocks are a culinary delight.